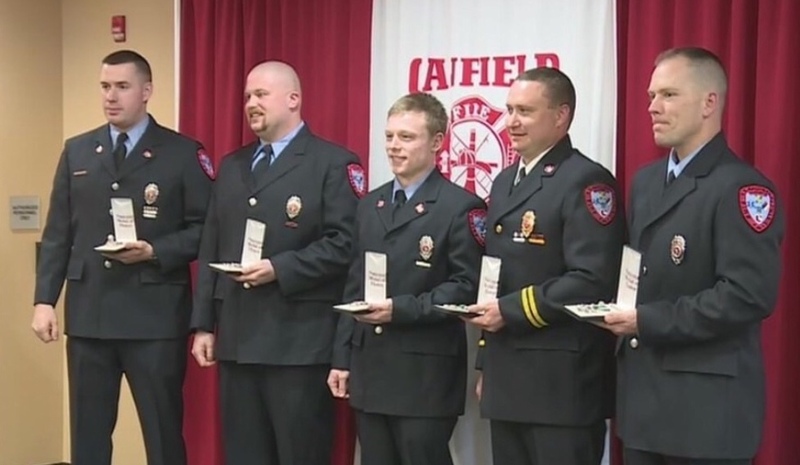 Ryan Caron, Graduate of CHS, was one of the firefighters recently awarded by the Cardinal Joint Fire District in Canfield for heroism during a Green Township fire. The district honored six firefighters this week, and Ryan Caron was one of them. Their act of heroism was the rescue of a man who was trapped inside a skid loader inside a barn engulfed in flames during the February fire. Ryan Caron is a full-time firefighter and paramedic for Plain Township, near Canton, and a part-time firefighter for Canfield. The man was still inside the skid loader when they arrived. The firefighters immediately tried to extricate the man from the skid loader while others battled the blaze.